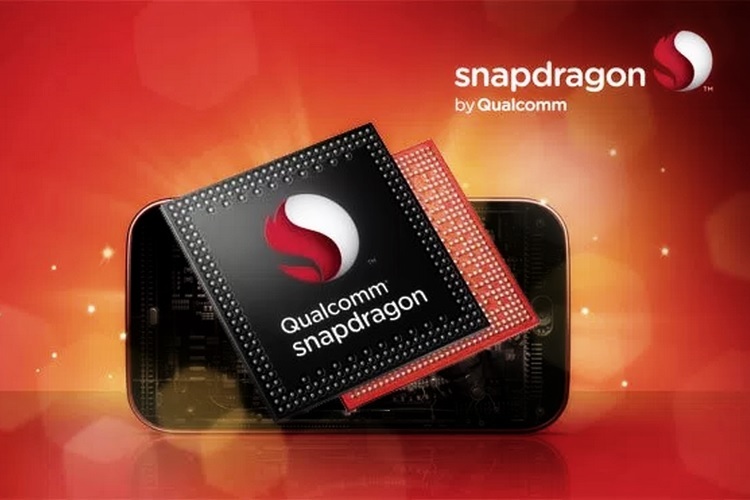 The rumors surrounding Qualcomm’s next upper mid-range mobile chipset, the Snapdragon 670 – have been circulating for quite some time now. Insider sources have previously quipped that the Snapdragon 670 might be unveiled in Q1 2018, but so far, no concrete details about the upcoming SoC have surfaced, aside one or two leaks. And the pattern continues as Qualcomm’s upcoming SoC was spotted on Geekbench, fitted inside a test device which packed 6GB of RAM, with Android 8.1 Oreo. The 670 chipset had a clock speed of 1.71GHz, though it’s not clear whether this is the factory clock speed. 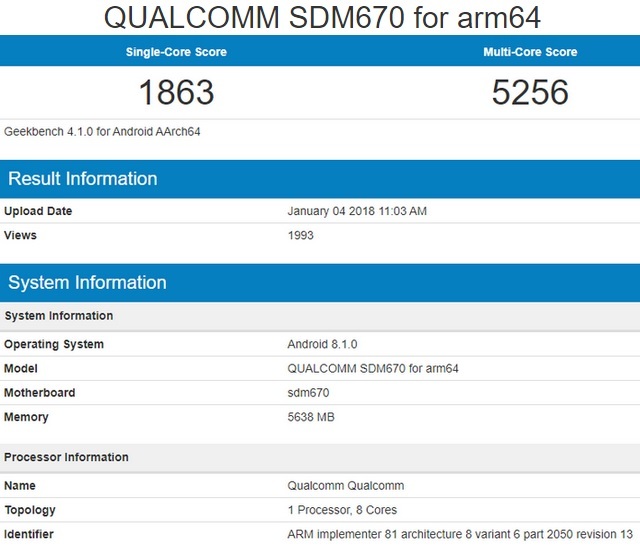 In the benchmark test, the upcoming chipset appeared as ‘QUALCOMM SDM670 for arm64’ and scored an impressive 1,863 points in the single-core test. To give you an idea of what that number means, a beastly device like the Galaxy Note 8 with its flagship Snapdragon 835 chipset scored 1,959 points in the same single-core tests. As far as multi-core performance is concerned, the Snapdragon 670 scored 5,256 points, which also runs the 835 close. A Samsung Galaxy S8, which is equipped with the Snapdragon 835, managed 5,977 points in the multi-core test. The raw Geekbench performance is enough to cement the Snapdragon 670’s position as a solid performer that could give 2017’s flagship chipsets a run for their money. It also gets us very excited for the real-world performance benefits the mid-range smartphone line-up of 2018 will see. Aside from the single core and multicore test results, no other details about the chipset were revealed by its visit to Geekbench. However, a tweet from famed leakster, Roland Quandt, suggests that the Snapdragon 670 will feature support for up to 6GB of DDR4X RAM, 64 GB of eMMC 5.1 flash storage and WQHD display among other key specs. As far as the Snapdragon 670’s architecture is concerned, it will reportedly be an octa-core processor with two high-performance Kyro Gold cores and six low-power Kyro Silver cores, however, these are all unconfirmed reports, so a pinch of the proverbial salt is advised.